The Sisters of Compassion Island Bay have congratulated the three students who have been awarded tertiary scholarships for 2017 from the Suzanne Aubert Tertiary Scholarship Grant. The recipients are: Sinead Frances Lynch, Sacred Heart Girls College, New Plymouth; Caitlyn Rose Winchester, Central Hawke’s Bay College, Waipukurau; and Lakan Joseph Beech, Hato Pāora College, Fielding. The scholarships are each valued at $3000. The Suzanne Aubert Tertiary Grant is open to secondary college students within the Archdiocese of Wellington and the Diocese of Palmerston North to assist with tertiary education. 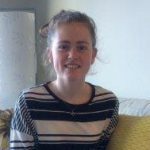 Sr Veronica Hurring dolc said, ‘We had a very good response by high-calibre applicants but as we only offer three scholarships, it made the task for the selection panel very difficult’. The selected students’ chosen studies and career interests range from Māori law, history and leadership, marine science and environmental management, to public policy and management issues. The Sisters are confident the students will achieve their respective goals and be a credit to their parents and also to their faith communities, respective colleges and teachers. The Venerable Suzanne Aubert knew the importance of tertiary education for young people. The Suzanne Aubert Tertiary Scholarship Grant was established by the congregation during the Sisters of Compassion centennial year in 1992. Many students have greatly benefitted from the grant and have gained national recognition in their respective professional careers. Three scholarships will again be available for application from August to October this year. Visit www.compassion.org.nz or Facebook Sisters of Compassion nearer to that time for information. 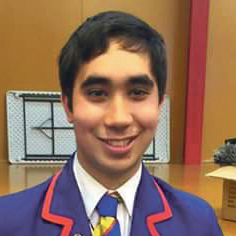 Lakan Beech has been accepted into Wellington’s Victoria University to study for a law degree (LLB) and a Bachelor of Arts majoring in Māori and history. He is passionate about Te Reo Māori and is interested in becoming a lawyer. Sinead Lynch has applied to Otago University to study for a Bachelor of Applied Science majoring in environmental management and marine science and aims to become a marine biologist. She is passionate about the survival of Māui and Hector’s dolphins. 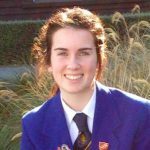 Caitlyn Winchester has applied to Victoria University to study for a Bachelor of Commerce majoring in public policy and management. She is passionate about making a positive change for future generations.